The Department of Agriculture, Environment and Rural Affairs today urged water users, both recreational and commercial to take precautions when visiting the River Blackwater catchment in Co Tyrone. The warning comes after some dead native white-clawed crayfish (Austropotamobius pallipes) were discovered during routine fish surveys at the headwater of the River Blackwater near Aughentaine. 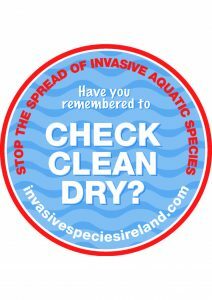 All relevant organisations will be working to prevent the spread of this outbreak to other catchments in the area. Check your equipment and clothing for living organisms.